Last Sunday we had Easter brunch over at my cousin Abby's place. She invited her parents, brother and Luke & I. We chatted while sipping on mimosas (with a mix of half orange juice and half pineapple juice, so good) and then she prepared a delicious brunch for us. Everything was so delicious! My brunch contribution was a simple fruit and cheese plate that we all snacked on beforehand. It's definitely my go-to when contributing to a small gathering and I usually have a good number of the ingredients on hand. 1) Start with a base. I own several wood trays and serving platters in different sizes depending on how large or how small I want my presentation to be. 2) Add Variety. I like to have at least 5 different items to mix and match. 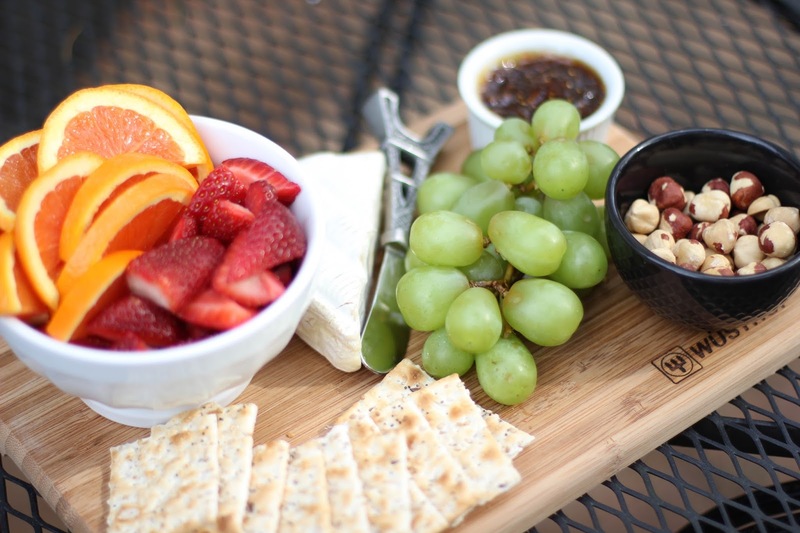 For this specific plate I used fruit, brie cheese, macadamia nuts, crackers and fig spread. Some other favorites to include are prosciutto, cranberries, pears, honey, mustards and more cheeses! 3) Mix sweet and savory. 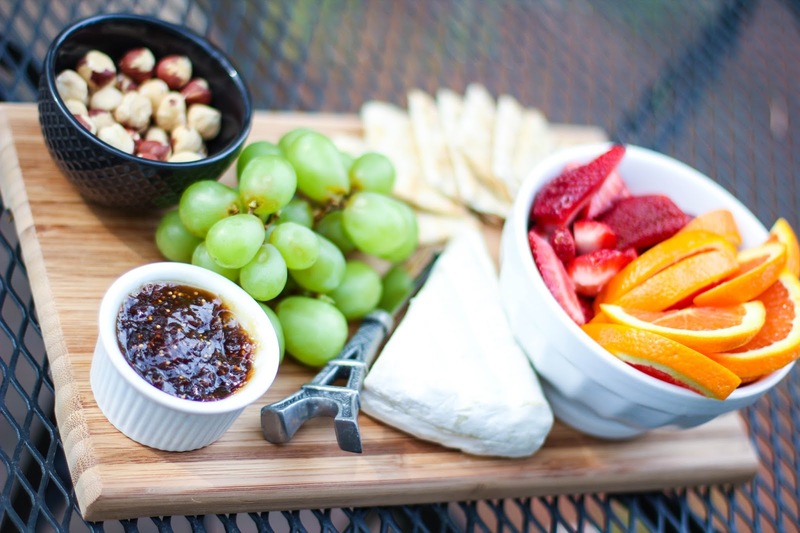 Brie, fig and strawberry is my favorite mix of sweet and savory. Blue cheese, pear and honey is a very close second! 4) Add height and interest. 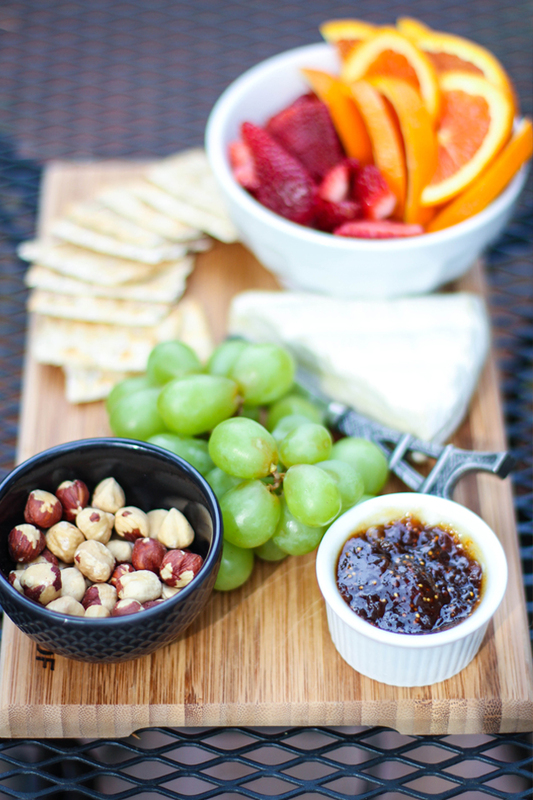 Incorporate a few small bowls for the extras and a few fun knifes for the cheese. If I have more than one cheese I try to include a knife for each. 5) Have fun. There is no wrong way to go about this. 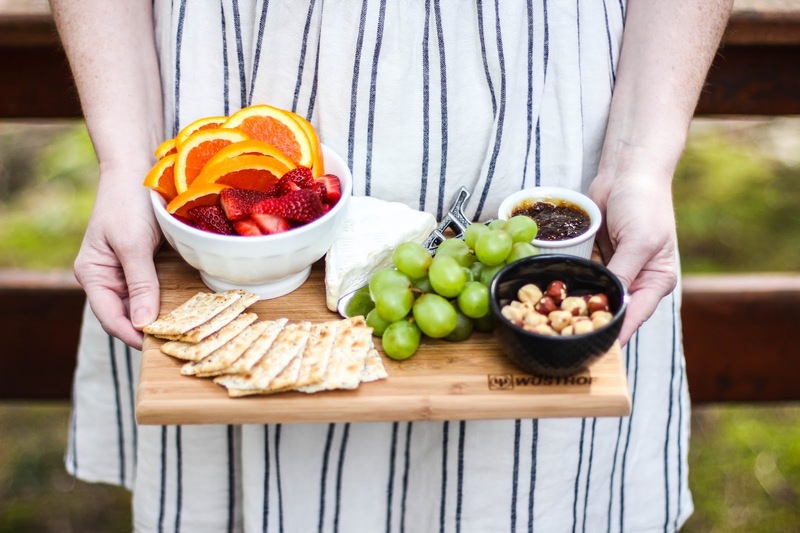 In my opinion, fruit and cheese plates are fool-proof and are always a hit!